Fits beds that measure 54 inches wide x 80 inches long. Care free and always looking good! Shipping Time: 95% of our orders ship with 10 business days. Please allow standard ground transit time depending on your location. Wrinkle Free cotton fabrics are treated with a solution that bonds with the cotton fibers, cross-linking them to provide elasticity and stability, making them resistant to wrinkles without changing the cotton's natural breath ability, or soft feel. CARE INSTRUCTIONS: Care Instructions: Wash before using. Machine wash in cold water. Do not use bleach. Tumble dry with very low heat. Wash separately to guard from color migration. Cotton sheets do tend to wrinkle, and can be expected to shrink 1-2% the first time they are washed. 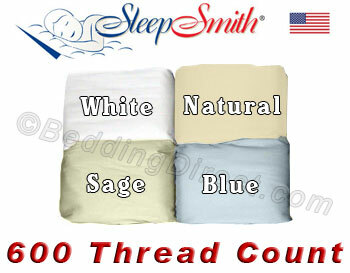 This shrinkage is taken into account when the sheets are manufactured. For this reason, they may fit loosely before laundering, and provide a snug fit afterwards.